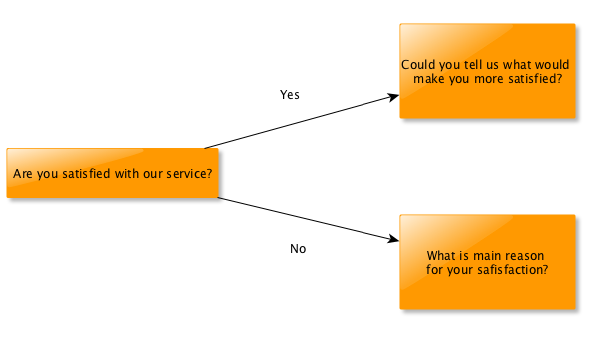 How to create questions, use branching in your surveys, ask follow-up questions and get to know your clients better! Question types include text answers, NPS, smiley face scale and many more. We encourage you to try also our CTA's, where you can redirect people to your page, add cookies or display a thank you message. To add another question, scroll down and click Add next step. Logic allows you to create different paths for respondents, depending on previous answers by skipping certain questions, adding whole new branches, and segmenting users (for example based on the level of satisfaction). This way you can set up a personalised survey that extracts insights from respondents, asks crucial questions, inquires about details and finally displays most suitable CTA. How to use question logic in your survey? Start with adding questions and answers to your survey. As soon as you have answers and questions added you should arrange them in a logical order. 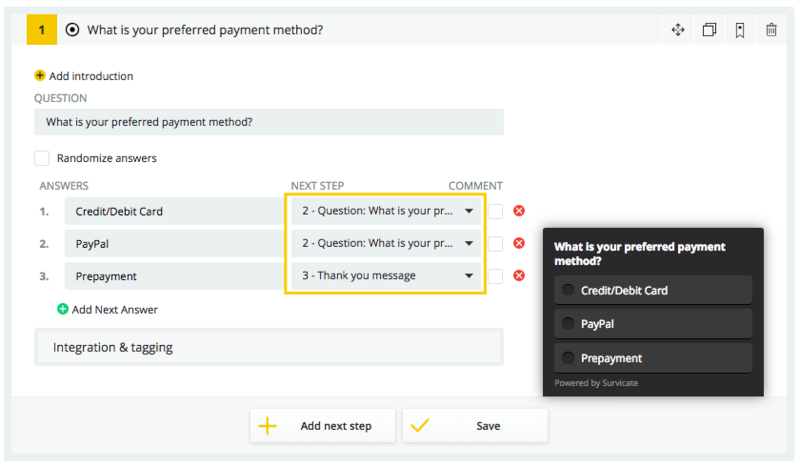 You can add Next step by clicking the button under the question or by drop-down lists within each question. To apply logic choose or add the next step to the answer by picking the option from the list. This generates a new question that will be displayed if respondent picks a particular answer. ❗️If you want respondent to end a survey after particular answer just pick Finish as a Next step. ❗️Keep in mind that survey logic can be applied only to single answer questions, Net Promoter Score and rating.